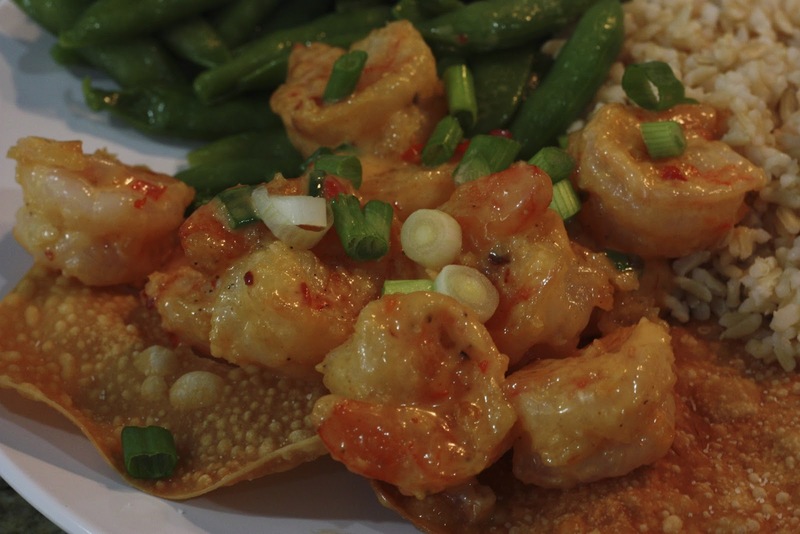 If you have ever been to Bonefish grill and ordered their appetizer - the bang bang shrimp - then you have undoubtedly been addicted upon your first bite. 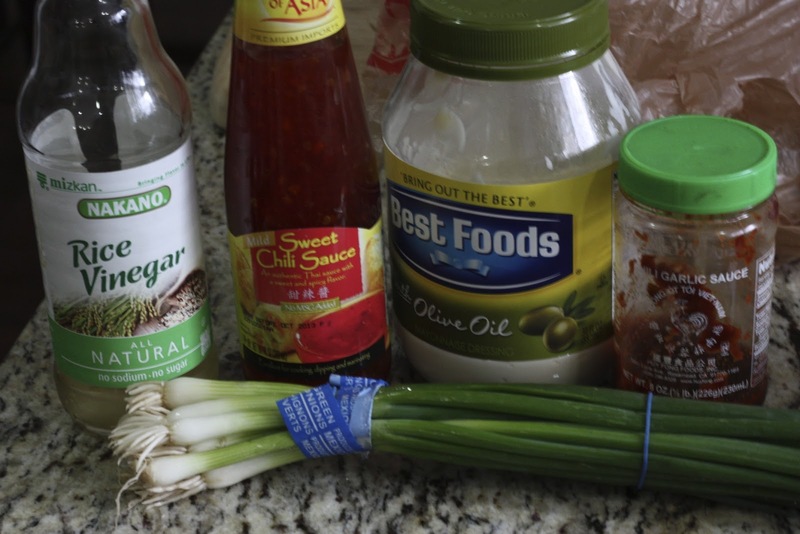 Not the healthiest shrimp dish out there -but so tasty that its definitely worth a splurge now and then - especially when you make it yourself and know exactly what goes into it. 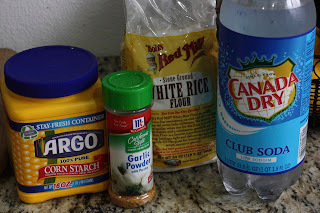 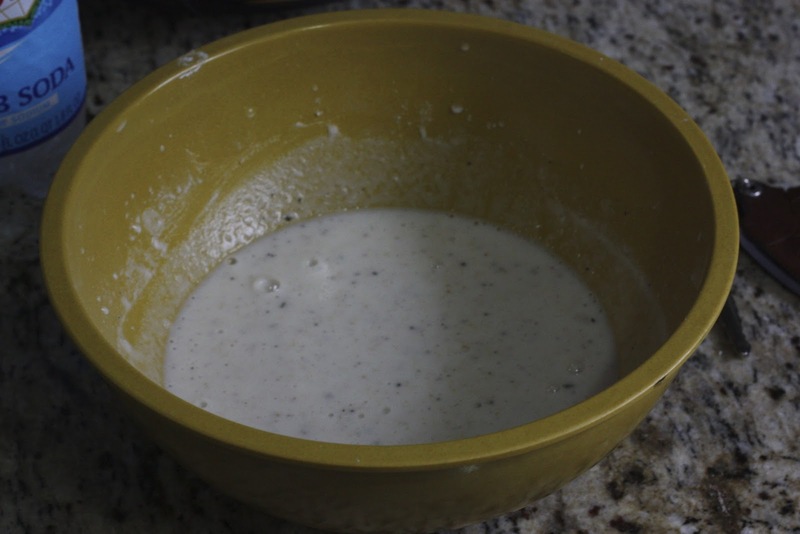 Combine flour, soda water, corn starch, salt, black pepper, onion powder, garlic powder in another shallow bowl; set aside. Bread the shrimp by first coating each with the tempura mixture. 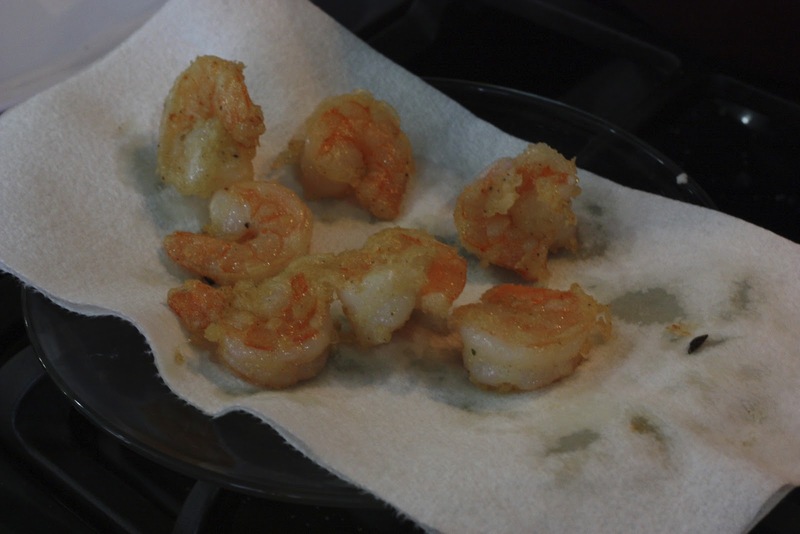 Heat oil in deep fryer to 350 degrees F.
When oil is hot, fry shrimp 2 to 3 minutes or until golden brown. Drain on a rack. 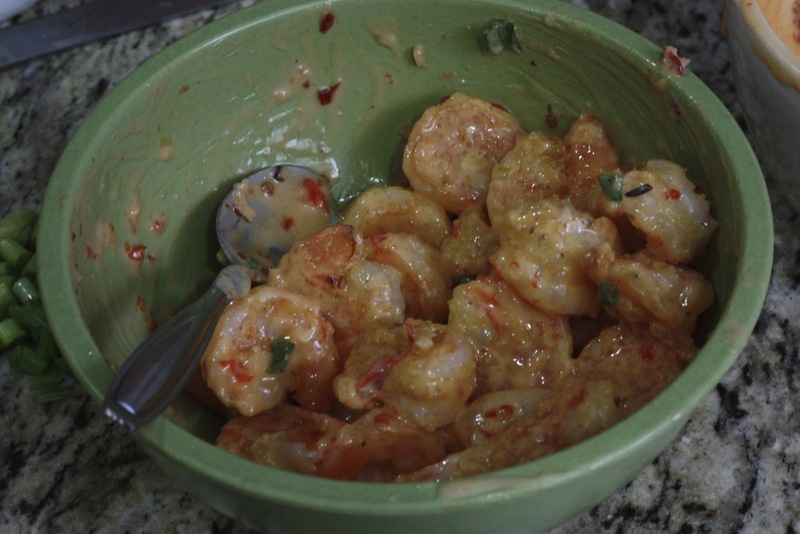 When all shrimp has been fried, drop the shrimp into a large bowl. 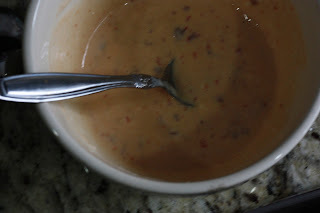 Spoon sauce over shrimp and stir gently to coat. 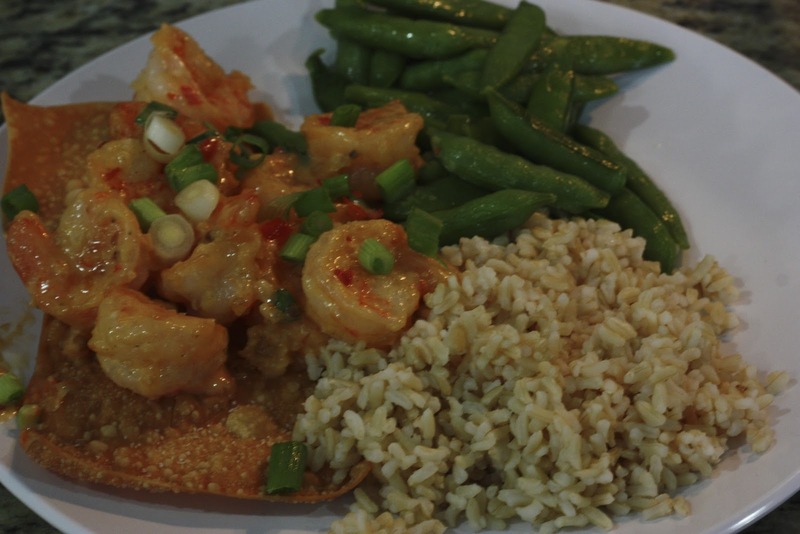 Top with chopped scallions, serve with brown rice and steamed edamame or sugar snap peas.